Skye Weavers Striped Scarf Seaweed. Inspiration from the shore. 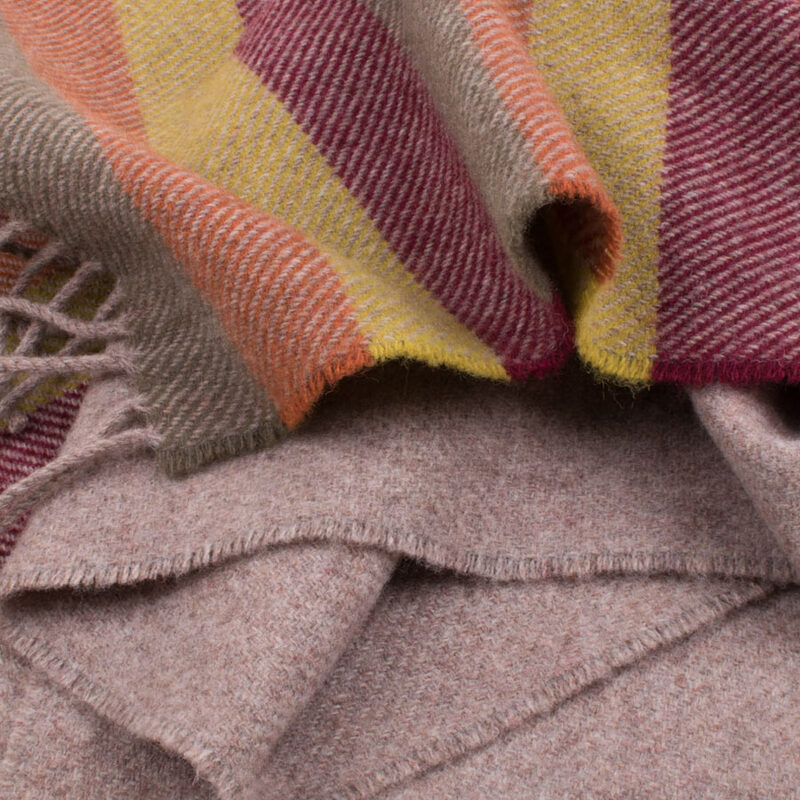 Soft lambswool scarf inspired by bands of colourful seaweed. Woven by bicycle pedal-power on the Isle of Skye. 100% Lambswool.